Weight loss is based on a mathematical formula that determines how many calories you can eat in order to lose 1 lb. Figuring how much time it takes to lose a specified amount of weight depends on a number of factors. When it comes to weight loss, slow and steady is the most effective approach. Losing weight too fast can put you at risk for medical complications and may make it difficult to keep the weight off. Talk to your primary care physician about your weight and safe ways to lose excess pounds. Write down the food you eat in a diary and total the calories at the end of the day. Calculate the number of calories you need to burn to maintain your current weight. To do this, multiply your weight times 15 if you do not exercise or 17 if you are active. For example, a 160-lb. woman who is inactive needs 2,400 calories to maintain her current weight but an active 160-lb. 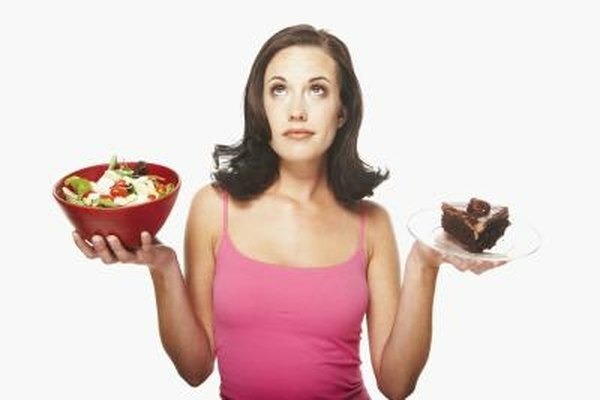 woman needs 2,720 calories per day. Subtract the number of calories you eat each day from the total number your body burns. Multiply this total by 7 to determine how many extra calories you burn each week. For instance, if you burn 1,000 calories each day, your total for the week will be 7,000 calories. Divide the total extra calories you burn in a week by 3,500. You must burn 3,500 calories to lose 1 lb. For example, if you burn 7,000 calories weekly, you will lose 2 lbs. every seven days. Divide 80 by the number of pounds you lose each week to give you an estimate of how many weeks it will take to reach your goal. At 2 lbs. a week, you will lose 80 lbs. in 10 months. Two pounds a week is a safe weight loss rate, according to the MayoClinic.com. The number of calories you burn must be higher then the number you eat to lose weight.